Heavy rainfall caused an overflow of untreated water. 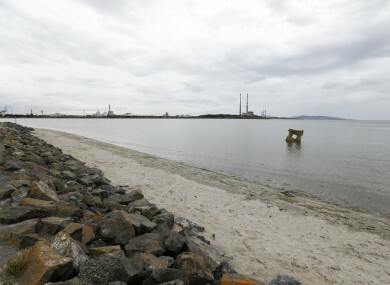 SWIMMING BANS ARE in place at three popular Dublin beaches. The temporary bathing prohibition notices have been put in place by Dublin City Council at Dollymount Strand, Sandymount Strand and Merrion Strand. In a statement released this evening, Ervia, Irish Water’s parent company, said “extreme rainfall on Wednesday” caused an overflow of untreated water at the Ringsend wastewater treatment plant and the Ailesbury pumping station. “Irish Water worked closely with Dublin City Council to carry out work to resolve the overflows. “The overflow at the Ailesbury pumping station was of a very short duration and the overflow at Ringsend ceased by 9.30pm on Thursday. Email “Swimming bans in place at three popular Dublin beaches due to 'extreme rainfall'”. Feedback on “Swimming bans in place at three popular Dublin beaches due to 'extreme rainfall'”.